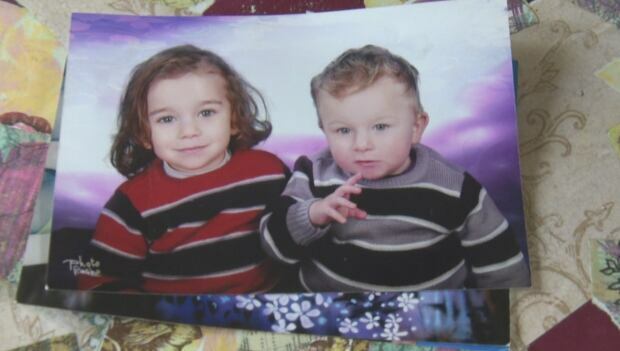 Two Canadians who were recently released by an al-Qaeda affiliate in Syria were detained while trying to take two young children back to Canada. Jolly Bimbachi of Chatham, Ont., travelled to Lebanon Nov. 18 to find Omar Ahmad, 8, and Abdal-Geniy Ahmad, 7, after her ex-husband, Ali Ahmad, failed to return them to Canada following a 2015 visit. She was reunited with her sons, and told CBC News at the time she was hoping to return to Canada with the boys. Sean Moore, also from Chatham, followed Bimbachi to help her bring her children back, friend Jeff Bultje told CBC News Monday. “The goal was to arrive in Turkey safely and set up a court so that a neutral country, but still a Muslim country, could decide custody,” Moore said in Bab Al-Hawa. A government official who spoke on the condition of anonymity said the pair was travelling through Syria on their way to Turkey with the boys when they were grabbed by Hay’at Tahrir al-Sham (HTS), the Syrian branch of al-Qaeda. Bimbachi gave them the number for her ex-husband and the two boys were returned to Lebanon, the official said. The official said Bimbachi and Moore were held for three to four weeks, but were allowed to communicate with Canadian officials via the WhatsApp messaging service. “Hay’at Tahrir al-Sham … HTS, has been helping us out for at least 26 days, maybe more, I don’t understand the language but the little bits that are explained to me, that’s my understanding,” said Moore. The official said Bimbachi and Moore weren’t threatened with harm, and no ransom money was sought or paid. It’s not clear when Bimbachi and Moore were released, but in a statement Monday a Global Affairs Canada spokesperson said they had safely left Syria and that the Canadian government was continuing to provide them assistance. Bimbachi said she was “treated very nice by the Syrian families” she stayed with and was made to feel “part of the family. “I shared many talks and many dinners and many nights and many smiles, and many tears with the people I was with,” she told reporters in Syria. “Unfortunately, a lot of parental kidnappings happen almost on a daily basis, I think there’s about 200 cases in Canada every year and that is just Canada by itself and a lot of them happen in Lebanon where the dad does have more rights than the mom,” she said. Both Bimbachi and Moore described what it was like being in Syria during airstrikes, which Moore says were conducted by Russian forces. “When I go home, I’m going to… have to educate the Canadian people, not the way that the news has been educating them because it’s backward,” he said, without being specific. Bimbachi said she had no regrets over her stay in Syria, noting that it gave her an appreciation for what people in that country live through. “I have taught about what Syrians go through, I have done lectures in colleagues and I have helped a lot of Syrian refugees who came to Canada but I never got to actually feel what they go through,” she said. As a result, it’s not on Canada’s list of designated terrorist entities after its latest name change. That complicates things if officials ever wanted to prosecute Canadians who travel to join the group, send it money or spread propaganda on its behalf. HTS began as the Jabhat al-Nusra (the Support Front), and was sent into Syria in 2011 by the leader of al-Qaeda in Iraq, Abu Bakr al-Baghdadi, now the successor or “caliph” of the Islamic State (ISIS). Jabhat al-Nusra was led by Syrian jihadist Abu Mohammad al-Jawlani. The United States put the group on its terrorist list in 2012, as the Syrian branch of al-Qaeda, and Canada followed suit.